The OMERO clients are cross-platform. To run on your computer they require Java 1.7 or higher to be installed. This can easily be installed from http://java.com/en if it is not already included in your OS. 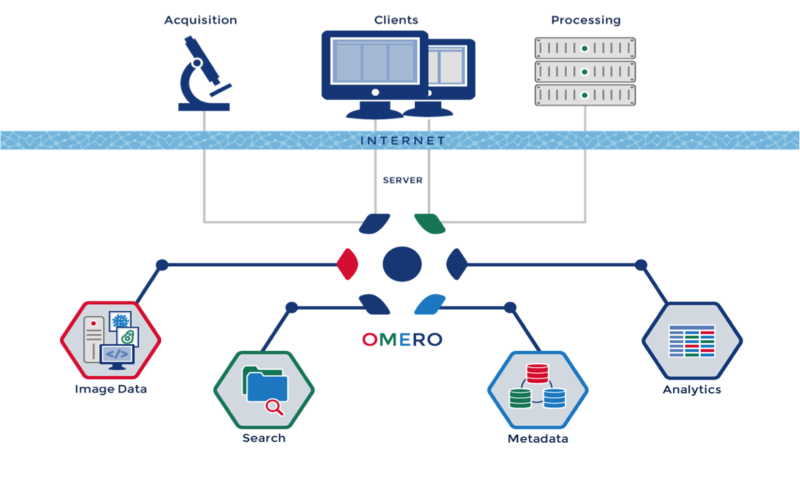 The OMERO.insight client gets all of its information from a remote OMERO.server — the location of which is specified at login. Since this connection utilises a standard network connection, the client can be run anytime the user is connected to the internet. This documentation is for the new OMERO 5 Platform. This version is designed to improve our handling of complex multidimensional datasets. It allows you to upload your files in their original format, preserving file names and any nested directory structure in the server repository. For more technical information, please refer to the Developer Documentation. You can read about the development of OMERO in the OMERO version history.